This is the first time I’ve discussed this publicly (and probably the last). Friday morning I visited Chaz and AJ at WPLR. Their first on-air question had to do with the circumstances of my leaving Channel 8. This is the first time I’ve discussed this publicly (and probably the last). So many of you are curious I thought I’d post it. Hey Geoff! Pretty sure this video link isn’t working…. I’m running Firefox and it didn’t work for me either. Working on it now. A few more minutes. Should be working. Please let me know if otherwise. Hi Geoff! I’m excited that you are Fox on Fox!! Fox network really picked a winner with the name and the person! I am still unable to view the video you posted of your interview yesterday. I guess it’s really not that important though. What IS improtant is that you and your awesome personality are still here with us in CT! Thanks for allowing yourself to become such a big part of people’s lives. It is 1:37pm and still not working. Working!! It’s working for me. Heard it first hand yesterday morning Love Chaz & AJ and Megan. Great to see the video. Can’t wait ’till Monday 4pm. I got it to work for me. Don’t click on the arrow in the middle of the screen, click on the small black button in the lower left corner. Wonderful interview, Geoff. I hope one day soon you and Dr. Mel can speak and maybe reconcile what happened. You two seemed to have too close of a relationship to let a business move ruin a friendship. when I was fired from my job of many years in management without cause, despite an uproar from customers and fellow employees, my employer never admitted they made a mistake but their business has been in a decline in the 7 years since and I still hear from customers or run into them out and about and am told how they have since taken their business elsewhere. I created a new career for myself that is completely different and have never been happier so who gets the last laugh? And who looks like a douche? It worked! OK, now I understand. I am so glad you are out of there and on to a better channel. Sorry you had to go through that, but you are a classy guy! Hope the Gen’l Manager at WTNH enjoys the competition he has created. Extremely disappointed that Dr Mel did not cover your back; or at the very least, he allowed himself to be used by WTNH. Chaz might as well be describing what happened to me at the radio station where he is still employed. Isn’t that interesting? It’s as if it never happened. Geoff congratulations on your new gig. Pam, after listening to the interview and the circumstances of Geoff’s departure from Channel 8, I immediately thought “Didn’t the same thing happen to Pam Landry on that very radio station?” Such irony. Then I read the comments, and here you are. My coworkers and I were just as stunned about your departure when it happened as we were about Geoff’s. We’ve since found other radio stations to listen to, and other TV news stations to watch than Channel 8. It was a great move by FoxCT to pick you up Geoff, and they’ve picked up at least this viewer as a result. I’ve got a few words about that GM. Obnoxious, pitiful.. I could go on. I’m so sorry that Dr. Mel hasn’t made an effort to talk with you but I hope things go well for you with Fox61. May I ask a question(?).. even though it’s probably a stupid one.. With the different vibe over at 61 and you having said that the newsroom is buzzing with activity there where as WTNH was more like keeping your head above water – is that because 61 and the Courant are a combined newsroom or is it because 61 itself has more reporters and are able to get around more? Paula – I can’t make more than a snap judgement at this point. It is subject to revision. Yes, I think having the Courant and Fox61 in a unified newsroom is a huge reason. Most people don’t understand the depth of news reporting at a paper is much greater than on TV. No TV news program could ever cover the volume of news contained in what shows up on my doorstep every morning. Second, it’s obvious to people at FoxCT the station is on a roll already with ratings going up. I would like to be part of that positive motion and will do what I can to help. Even those that only have a glimpse at Fox61 like we the viewers have during broadcasts can see there is a change going on there. I’ve always switched between 8 and 61 and I’ve noticed a growth in them the past year and it’s all been for the good. I was just wondering what your thoughts were on the differences and I do thank you for offering your opinion. I’ll have to ask you this question again in a few months! I’m really looking forward to your new gig.. not as much as you are, but you know what I mean!! Geoff – that was gr8 – had not heard that @ Dr. Mel – that breaks my heart as I thought he and Ann would be the most supportive of u. Glad u had ur cathartic (sp) moment – maybe a lil closure as well….GL w/Fox. Ann and just about all my other former co-workers have been amazingly supportive. Ann continues to be my very good friend. When I was let go I asked my boss if I could take a reduced pay and I was denied. Under those circumstances it usually means management wants to reorganize which indeed I discovered later was exactly what they had in mind. In your case the extraordinary support you received from listeners was a clear indictment that management was in error – something most of us can’t appreciate. The endorsement by Dr. Mel was painful for you and it was also painful for me as one of your fans – in similar circumstances I doubt I could ever forgive Dr. Mel without a heartfelt apology. Thanks so much for putting this up as I did not get a chance to listen. Great show and again all the best to you. You rose to the top and Fox/CT obviously looked at the growing numbers of your supporters and capitalized on it. Their gain, your gain and WTNH’s pain. Always had much respect for you – and like you said for Dr. Mel to do a video promo for your so-called “replacement” was just uncalled for – I haven’t watch WTNH-8 since you left and never will again! Cannot wait for Monday – So happy for you… good luck! When it came out that Channel 8 was letting you go, our whole family was shaken by the news. You have to know that you have been a part of our family since you started on 8, also your ranked as the third child as for time in our home. Anyway, I told my husband that it would be wonderful if it ended up at Fox on FOX. So excited for you and your family. We have all held tight to boycotting 8 since then and will be watching FOX starting Monday. What a great segment, Geoff. Thanks so much for being so candid about a tough issue. Been there but don’t know if I could have been that gracious. We wish you all the best at 61. It will be a pleasure to change our late night sleeping habits once again. You’re the best, my friend. I think things worked out for the best Geoff, you leave a dying station that is poorly run and now with you’re with a station that is growing and increasing its ratings share. That old expression “things happen for a reason” definitely applies in this case. You were the main reason I watched channel 8, now that you’re gone I doubt I’ll ever watch it again. From now on, I’ll be getting my news and weather from Fox 61. What grace and class! I did not know about Dr. Mel and no longer can take him seriously! There is no excuse for what he did and he should be ashamed of his actions! Good luck at Fox Mr. Fox! Geoff, I LOVE Fox News and now it got even better!! So happy for you and for FOX news. I am also glad that you got the opportunity to express your feelings about this whole situation on the air. As you said above, the first (and probably the last) time, I think is a great motto for this situation. I think now that you had that moment (cartheris LOL can’t spell it) , you need to leave that behind and move forward with pride in your new position. Leave any bitterness behind and know that this happened for a reason. I think even the pain you are feeling with the situation with Dr. Mel, will eventually ease. God Bless you in your new position!!! Though you could have a cookie party for all your fb fans, will your wife make that many??? Congratulations Geoff on your new gig on Fox and I always hated that commercial with Dr. Mel and the new guy…what’s his name? Good luck on your new posititon. I will be watching you on FOX! Thanks for sharing Geoff. I always knew you were a class act,this just proved it. Good luck at Fox,they are lucky to have you! They say “He doesn’t close a door without opening a window”…here’s to your opened window! I can’t wait until Monday Geoff! You are like a member of my family! Bless you Always!!! Fran – As far as I can tell it works for everyone else. I’m not sure what more I can do. Congrats again…I love Ann Nyberg, Jocelyn Maminta.I so missed Al Terzi also..and I also miss Matt..I like Darren, Chris and Gil also..and that’s the extent of it. I think some people LACK PERSONALITY BIG TIME!! It’s a shame Dr. Mel did what he did but its good to hear most of your other colleagues from WTNH are supporting you. I’m look forward to getting my CT (living here in SoCal) News and weather from Fox 61! Geoff, I’ve looked for the finish to this interview(the 2nd half). Did they stop filming? Can you post that? I wasn’t able to find it on PLR’s site either. Thanks and great job! 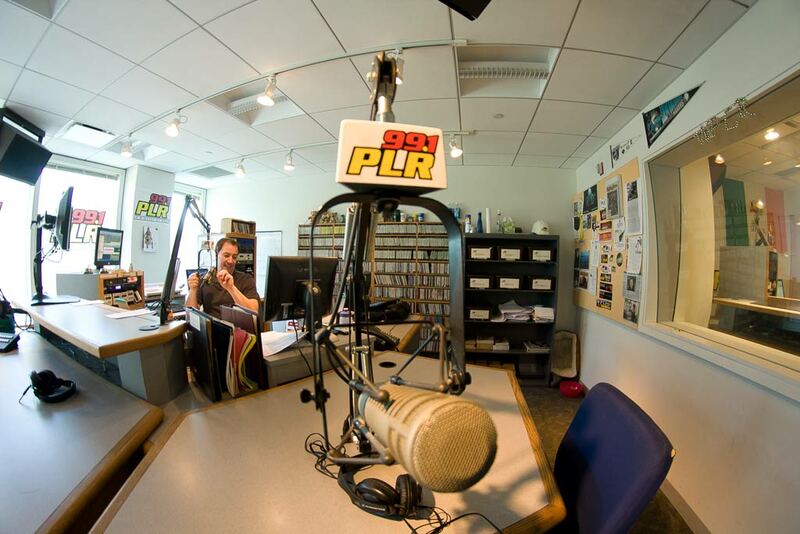 Check wplr.com and the Chaz and AJ podcasts. This is the only part with video. Good to hear the account of what happened. Good luck to you at Fox, new station, new opportunity! I would love to see Ann and Darren relocate to a better station…not be fired, of course, just upgrade themselves. They are both talented and classy people who deserve better. Real pipe dream here, but wouldn’t it be neat to have the 3 of you together again at FoxCt or elsewhere??? OK, back to earth, Judy, but I do look forward to seeing you again come Monday, Geoff. Cynthia – FoxCT has NOTHING to do with Fox News. We are affiliated with (not owned by) Fox Television. They provide The Simpsons, Family Guy, American Idol and NFL games. Fox News is owned by News Corp. FoxCT is owned by the Tribune Company, the company that owns the Hartford Courant. News Corp has no involvement in anything having to do with FoxCT’s news operation. OH my, I am so glad to read your reply that FOXCT has nothing to do with that pseudo “so-called” news company. That makes a big difference. Although I live in the Phoenix area I will check in on you via web! Good luck. You were always my #1 weather guy when I lived in CT. Thank you for sharing and for being so candid. I have been watching you from the beginning and will continue on Fox. I read that your wife was part of the interview and was quite funny. I would love to hear/see that video as well. Best of luck and remember to tell me “Don’t go to sleep yet, there’s more Fox on Fox…” Yeah for you and yeah for Fox CT for making such a fantastic decision! I posted the only video. The rest of the interview is on the wplr.com website under Chaz an AJ podcasts. Helaine was hysterical! great interview! and you are such a gracious, gracious man! so happy to have you back! i hope wtnh will one day realize what a serious mistake they made, but you have moved on to bigger and BETTER things. i will never, (and have not) watch wtnh ever again, it’s a classless station in so many ways. I grew up in CT and watched you daily. I live in FL now and I was so upset to hear that you were no longer with WTNH. I am so happy to hear that you’re with FOX61. If I were in CT still, I would switch from WTNH to FOX61. Good luck! Thanks, Geoff, for sharing. Like the rest, I am disappointed in the behavior of others. Fortunately for you, and us, we’ll get to see you continue the journey. Geoff, I am so glad you are going to be on Fox! I think it stinks that Channel 8 let you go the way they did. I have not watched channel 8 news since then. Good luck to you. I thought the Dr. Mel endorsement ad was despicable even before I learned that he might not have been forced to do it. It’s during the bad times that you find out who your truest friends are. Awesome news, Geoff. It figures, I go to Colorado on Thursday, finally get to a computer on Friday and find out I missed all the great news! Got back to the computer today to get more info. I still have to listen to the part of the interview with Helaine. I hope your first reports at Fox61 will be online somewhere so I can catch it. Wow Geoff!! I am so happy for you. This news just made my day.. My 5 year old watches the news with me and keeps asking ” Where is Geoff Fox and his weather tracker”?? You have been missed and its so exciting to see you back on the air! Congrats!! Welcome back Geoff . FOX ON FOX ! THAT’S GREAT! YOU WILL BE WORKING WITH WONDERFUL FOLKS !They are so happy to have you I am sure! THANKS SO MUCH FOR SHARING WITH US . OUR CONCERN AND LOYALTY IS VERY REAL! The fact that you shared maybe 4 sentences in 18 months with General Management does not speak so well of General Management…See you on Fox! Geoff…as I wrote before those promo spots with Dr. Mel were painful to watch….I cannot imagine how it made you feel. Just like cream you rose to the top. I appreciate you telling us what transpired, we were all reeling over the news for weeks (and months). Just LOVED hearing Helaine on the second podcast. She does have great timing!! I am thrilled for you and your family….and all your fans when I say “It’s so nice to have you back where you belong” You are a CT treasure, Fox made the right move!!! Best wishes to you and your family. I will be waiting at 11pm to hear “Don’t go to sleep yet”……Funny how it’s the little things that we take for granted!! Helaine was a riot…I LOVED the dating the UPS comment! I’ve been married 13 years…I hope my hubby and I have what you guys have after all that time! Having grown up with you all 26? years as my weatherman, it’s a blessing to have you remain in the state. While your drive and office may be miles apart, the CT public can still find you just few clicks away. I knew Dr.Mel from back in his WestConn days. It breaks my heart to hear of those promos. Until I hear differently, in my mind, I have to think he didn’t have a choice to do them…. I pray you will discover just that. Good luck on the new position! I’ll be at work when you’re on so I’ve already set my DVR to record the show since I don’t want to miss you. Good Luck! Jeff… congrats on Fox… is people really want to be heard they should complain to the ADVERtizers… they hold the purse strings…. A great interview….Thanks for telling us why that jerk of a manager at TNH let you go. Bottom line was he just didn’t like you. and maybe a few others at the station, Dr Mel also. Their loss, your gain! Good luck at FOX on FOX. Just wonderful the station made this spot just for you. That has to be a great feeling. Geoff, you’re a classy guy who left a classless station. Fox CT credibility just went through the roof! Much success to you there. Definately worth a listen, Helaine was reat !!!! After watching the video and listening to the second half of you on Chaz and AJ, I have to say that you handled discussing what must have been something very painful in a very classy and professional way. That shows what an upstanding person you are. I’m sure you’ll do well at Fox CT, I wish you all the best, I will be watching! Glad to say I didn’t see the promo with Dr Mel- ’cause I don’t watch channel 8 anymore! “Fox on Fox” sounds so right! When God closes one door, He opens another. Congratulations Geoff! From a curiosity standpoint, would be great to hear you expand on why you believe Mel volunteered to promote the new kid the very next week, and gave you the figurative middle finger. Office politics everywhere, I guess. Good luck on Fox, look forward to many more years of your forecasts! Mike – I think I’ve said all I’m going to say. Let’s just say I was disappointed and hurt. Conditions might change later, but that’s it for now. Let’s look forward. Geoff, thank you for posting this, good luck over at Fox 61. Have the DVR all set to record today. As for the bad forcast that was mentioned, If I recall correctly, just about every meteorologist got that one wrong in the state. I had something where my job was changed from one shift to another, and I could stay at the daytime rate, but no raise (after 2 years) and no covering the shift differential I had working nights. So I moved on.. Found out later that the “business managers” there hired 2 people to cover the job I had been doing. I guest that was the new modern economics… LOL I’m sure we’re both better off elsewhere not being undervalued. Glad to see you and watch you on FoxCt.